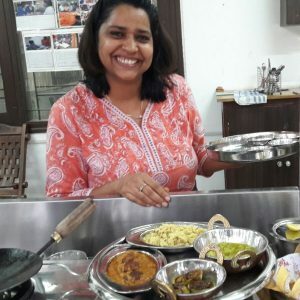 I am a home cook, a Bed & Breakfast host and also run a Indian Cooking School in Jaipur India. After running successfully my business on my own for three years, I decided to write my recipes and share my knowledge about Indian Cuisine. I dedicate this site to all my guests who encouraged me to share my knowledge to the world. Thank you for your love and support. Hope you will try my recipes.